Last year I met a lovely young family from my town. Their Dad had only just passed away and wanted me to know that my music had been a great source of enjoyment and comfort for them. It was such a bittersweet introduction. I met them at the grounds of the church for the first time, just as the funeral was leaving the church to go to the graveyard. I promised them there and then that I would visit them and perhaps play some music with them. We met a few months later and spent an evening together having great fun and even jammed together. They showed me their Lego animations and I was really amazed at the standard and the work that went into their productions. 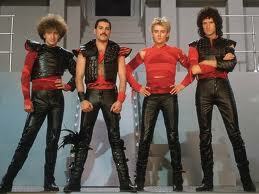 Queen’s 1984 hit ‘Radio GaGa’ is a song about radio’s loss of importance in people’s lives following the development of video and stations like MTV. They tell the story of how radio “made ’em laugh, made ’em cry, you made us feel like we could fly” and in many ways, mourn the loss of it’s role in everyday life “so don’t become some background noise”. It’s quite ironic that nearly 30 years later, I am writing a blog post on just how significant radio is in my life and in the lives of original artists, bands and songwriters. In fact I am going to go so far as to say that it is more significant to me right now than any other form of music revenue; gigs, merchandise, music sales. Gigs cost a lot of money to run, travel is expensive and venue hire is costly. Unless you are a well known and established act, money from merchandise will really only serve as pocket money in the early days especially when you have to make back all the money you spent on it. And as for music sales…. For the past 3 years, I have supplemented a proportion of my previous income through cover gigs, piano teaching and performing at weddings, corporate events etc. Outside those income sources and hours worked, I have also worked an additional 30 hours per week without any pay in order to set myself up and dedicate as much time as possible to myself as an artist and songwriter. I knew it was always going to be made up of very long hours, hard graft and a lifetime supply of patience and finger crossing in the early days! However, I have actually been very lucky in the early years of my career as a songwriter in that every few months or so, a lodgement is made into my account from IMRO (Irish Music Rights Organisation) with my earnings from radio play and somehow those 30 unpaid hours every week start to feel somewhat worth it. Whilst the amounts are small in proportion to the hours worked, it is a huge reward of spirit, energy and self-esteem. It opens up the possibility and hope that it will amount to a reasonable annual salary one day. Whilst I know it may not be as black and white as I make it, I do know that if the government, the BAI (Broadcasting Authority of Ireland) and the radio stations witnessed the look of sheer delight that appears on my face every few months when my work is financially rewarded, they wouldn’t think twice about making positive changes as soon as possible to make it happen over and over again all over the country! It seems like a very simple move forward??? Irish people would get the opportunity to hear more music from their own artists, radio stations could capitalise on new business opportunities working with new independent music businesses and labels and more of our songwriters and artists could actually make a living out of their unique trade.